5 Bedroom Detached House For Sale in Leatherhead for Asking Price £1,125,000. 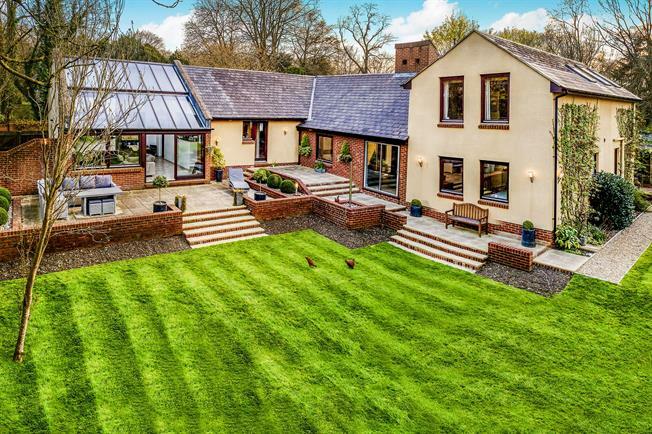 This unique spacious home provides an entrance hall, kitchen with an open plan aspect leading through to a vaulted orangery/family room with under floor heating. There are two further reception rooms including a sitting room that overlooks a central courtyard area with an ornamental pond. There are five bedrooms including a first floor principal suite which includes a dressing room and bathroom. Further family bathroom, utility room and two cloakrooms. Outside, there are mature landscaped gardens and a driveway leading to the integral double garage.